Broadly smile during & after your treatment! Depending on your orthodontic issues, Invisalign can help you get the beautiful straight teeth you’ve always wanted—without traditional braces. Invisalign clear aligners are an interesting option for both adults and teenagers. After a complimentary consultation with Dr. Jennifer, she will determine if Invisalign is right for you. Invisalign clear aligners are almost completely invisible. Invisalign aligners can be removed and replaced at any time. Invisalign provides an easy dental hygiene routine. Invisalign are custom made for you & comfortable to wear. Dr. Jennifer Eisenhuth is a leader in Invisalign treatment care. 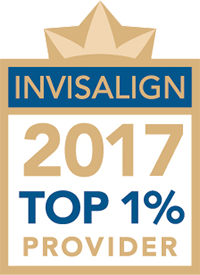 Being a Top 1% Invisalign provider indicates that Dr. Eisenhuth is among the most experienced Invisalign providers in the world and knows every aspect of the procedure. Choosing a Top 1% Invisalign provider means choosing a premium smile. When it comes to orthodontics, everybody has different needs, so it’s important that there are many options available to fit a wide variety of cases. Whether braces are being applied to poorly aligned jaws, crooked, crowded and missing teeth, patients can choose between metal, gold, ceramic, clear or lingual braces. 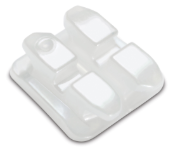 Ceramic, or “tooth-colored,” braces are an option for patients looking for less prominent orthodontic appliances. Metal braces are the most common type of braces. Typically made of high-grade stainless steel, they use a combination of metal brackets and archwire to create a perfect smile. Lingual braces such as Incognito™ Orthodontic Braces work to straighten teeth from the back. The braces are hidden behind the teeth and typically cannot be seen by others. Dr. Jennifer Eisenhuth knew at a young age that orthodontics was for her—and that she wanted to create beautiful smiles. Her utter passion for orthodontics has led her to develop an environment that’s caring, trusting and lots of fun for everyone. 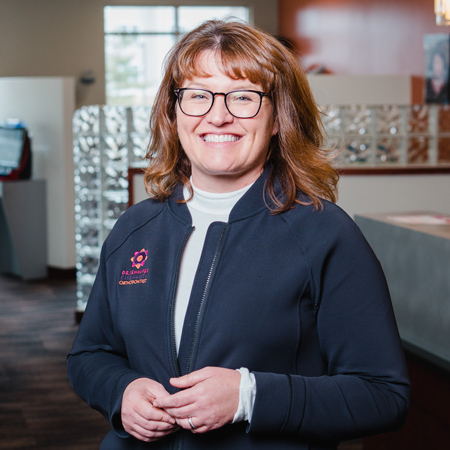 She feels truly privileged to be able to provide excellence in orthodontic care to the Twin Cities — St. Paul and Minneapolis, and their surrounding regions, including Mendota Heights, Inver Grove Heights, Burnsville, Apple Valley, and Eagan, Minnesota. Select one of the forms below to schedule your FREE Orthodontic Consult!